Over the years cinema technology has constantly been evolving and as a result, more and more enhancements geared towards improving the cinema watching experience have been introduced. The latest tech expected to lure people from their TV screens to the cinema is Malaysia's first ever cinema LED (light-emitting diode) screen called, Onyx, launched at GSC Mid Valley today. "The arrival of Onyx in Malaysia is a momentous milestone for the cinema industry, as it is poised to reshape the way we look at the cinema in the future," said Ms. Koh Mei Lee, Chief Executive Officer of Golden Screen Cinemas at the launch which was also graced by Samsung Malaysia Electronics President, Mr. Yoon Soo Kim. Pioneered by Samsung Electronics, the LED powered visual cinematic marvel means that instead of imagery transmitted by a projector from the opposite end of the hall, now there is a screen akin to a giant TV that directly transmits the visuals onto itself, thus removing the need for a projector. The 33.8 feet wide (approx. 10 metres) and 16.4 feet high screen delivers visuals that are greater in detail and colour vibrancy, and they are entirely in glorious 4K resolution (4,096 x 2,160). Its Digital Cinema Initiatives (DCI)-compliant High Dynamic Range (HDR) LED display can achieve peak brightness levels that is able to capture the most accurate white balance and deepest black contrast that's close to real life vibrancy, or at least 10 times better than the standard projection quality. Complementing the visual aspects for Onyx is the audio fitting by Samsung's Audio Lab and JBL by HARMAN Professional Solutions that is stated to be able to establish an expanded audio trajectory throughout the entire hall, instead of the typical cinema hall where usually only the middle seats are considered as the 'sweet spot' for best sound. Onyx is also furnished with plush eco-leather seats - different from the other GSC halls - that allows cinemagoers to physically sink into a more comfortable cinema experience. Comfortable eco-leather seats in sink into. 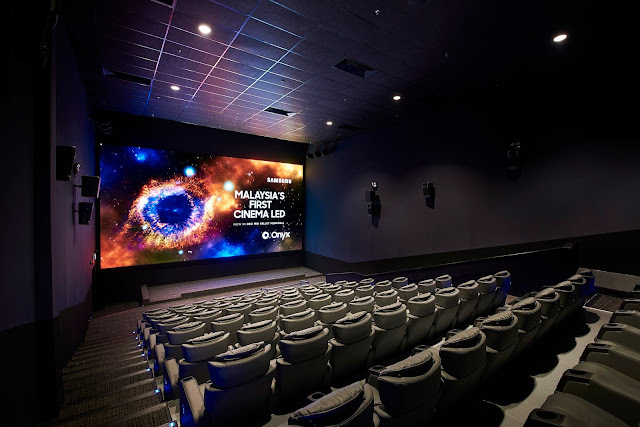 Installed only in Hall 11 at GSC Mid Valley, cinemagoers can now enjoy the cinema LED screen, Onyx, at an additional RM1.50 surcharge on top of the regular ticket price. To date Malaysia is the eighth country Onyx has made its presence in. 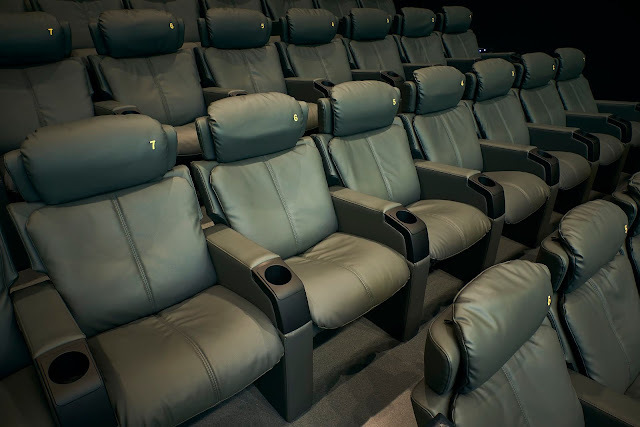 Before this it has been introduced in South Korea (Lotte Cinema Centum City, Busan and Lotte Cinema World Tower, Seoul), China (Wanda Cinema, Shanghai), U.S.A. (Pacific Theatre Chatsworth, Los Angeles), Austria (Cineplex Cinemas, Austria), Switzerland (Arena Cinemas, Zurich) and Thailand (Paragon Cineplex, Bangkok). Onyx will be introduced in Mexico this June in Cinepolis followed by Cinemex in September.